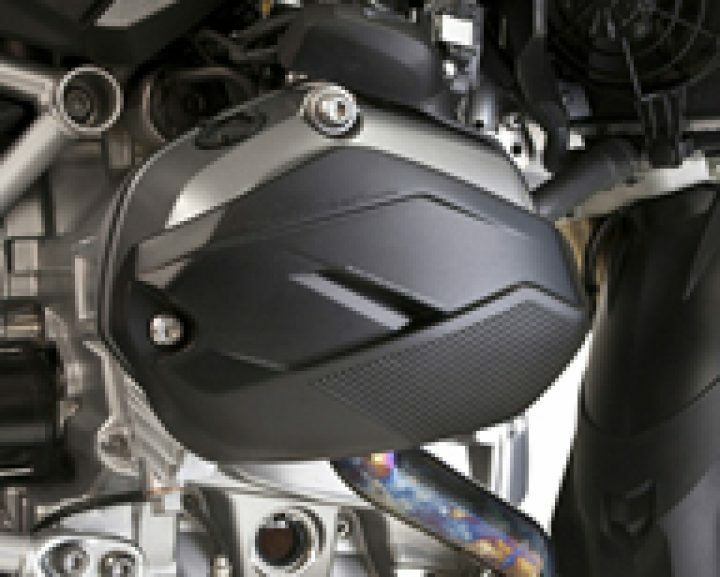 Avant R/RS_LC is a new kind of front end protection guard for the R1200 R/RS designed to shield the painted engine, exhaust headers and surrounding surfaces from stone and splash abrasion damage over time. The R and RS models' front fenders are very short, styled to look light and fast, but ineffective in containing road debris thrown back by the front tire. 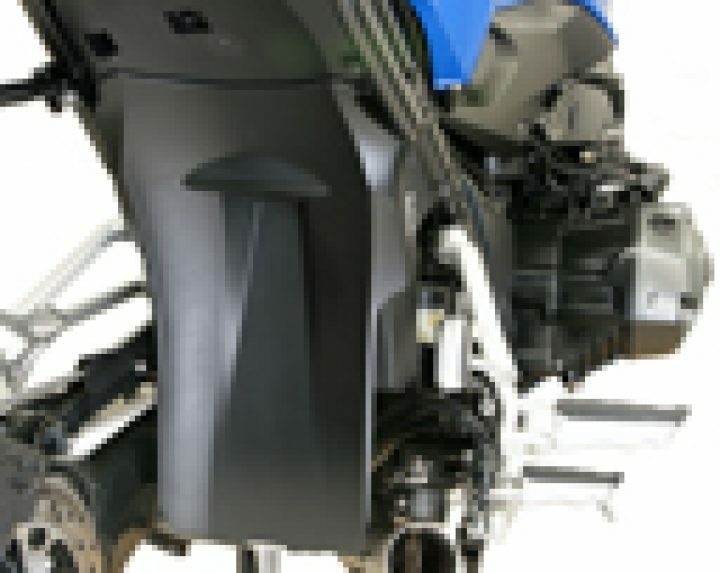 The front fenders are also very flexible - not stable enough to serve as a proper mount for a long fender extension. Avant R/RS solves the problem by mounting to the engine/chassis behind the front fender. Avant R/RS covers the full height of the engine, 12.5" (325mm), mounting to two existing screws at the top, and to the bottom of the engine case via an aluminum bracket and M8 bolts. 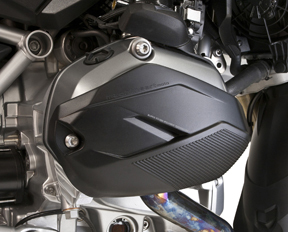 At its widest point, 11.5" (295mm) it partially overlaps the exhaust headers to reduce stone abrasion. NOTE: LED Driving Lights from BMW, or aftermarket brands like Clearwater can be mounted with Avant R/RS using the MaMo Light Bar kit. MaMo Light Bars are individual left and right sides that bolt to the frame and are satin finish powder coated steel. 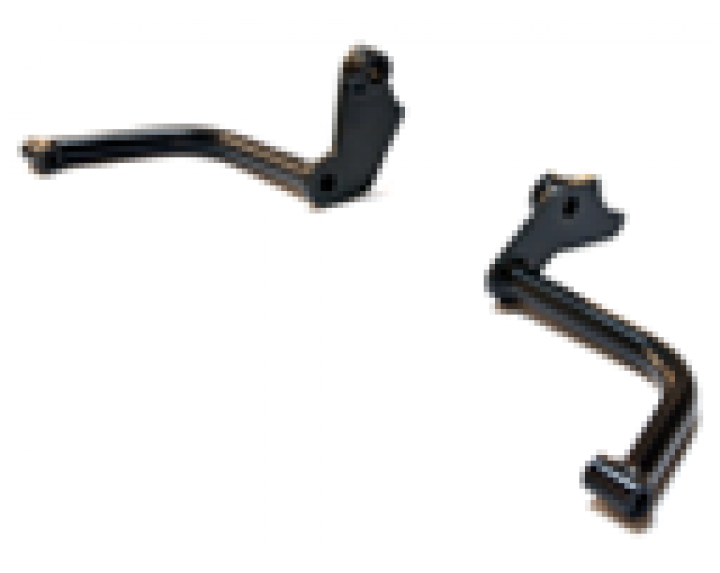 BMW's one piece light bracket part #77 51 8 551 341 is not compatible with the Avant R/RS. MaMo Light Bars are $79.00, 50% the cost of BMW's bracket. 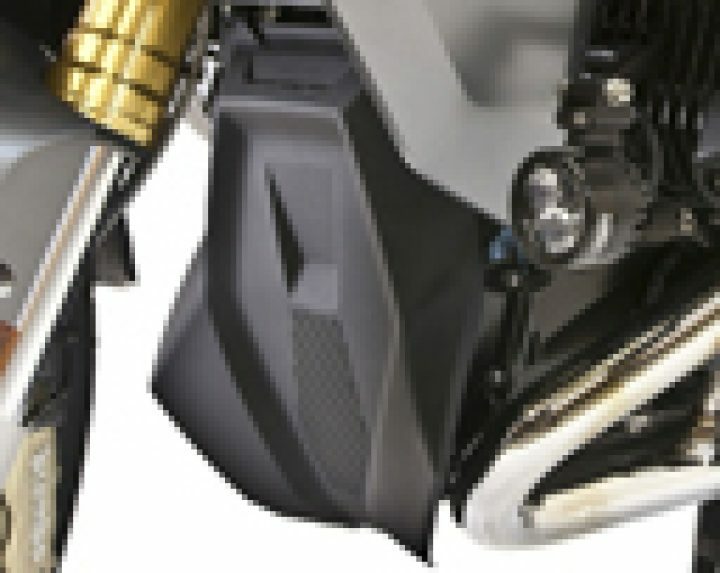 ***At present, MaMo Light Bars fit with X-Head_LC cylinder guards but do not fit with BMW's OE crash bars. We will have crash bar compatible Light Bars in early to mid-November 2016. 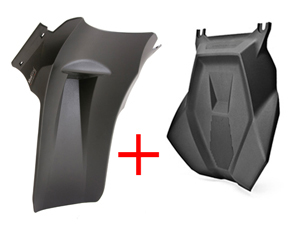 Avant R/RS is injection molded 3mm thick nylon, the same tough, impact resistant material used by BMW for many of its parts. It has a fine matte black texture and its shape reflects the form of the engine and the R/RS's bodywork.